French soccer team Paris Saint-Germain is ending their shirt sponsorship deal with Emirates after the upcoming 2018/19 season. Emirates were not willing to meet president Nasser Al-Khelaifi’s up to US$93 million-per-year demand. PSG are searching for a replacement for Emirates, with an Asian company in insurance or electronics a possibility. Qatar Airways has also been touted as a potential replacement. English Manchester United have expanded their partnership with German coffee company Melitta. Melitta is going from a regional agreement to a global one. The expansion includes the creation of a global initiative which will bring some of the club’s international fans to Old Trafford for a VIP experience. “At Manchester United we pride ourselves on offering to our fans the best possible experience when visiting Old Trafford,” said Richard Arnold, United’s group managing director. The English soccer giant has also announced a multi-year global partnership with MoPlay, a new mobile betting and gaming brand. The deal will see the two brands create exclusive collaborative content for fans, as well as engage in innovative co-branded activations around the world. “MoPlay are an innovative and dynamic company looking to further enhance our fans’ gaming experience,” said Arnold. Continuing with Manchester United, Scotch whisky Chivas teamed up with the English team in a three-year global partnership. No financial details of the multi-year partnership were revealed but the deal will see Chivas’ range of whiskies made available throughout Old Trafford’s hospitality suites, while the company’s branding will be displayed on digital perimeter boards as well as throughout the stadium. 90min announced a deal with Sina Sport to provide fan-driven international football content to the Chinese market and help Sina Sports attract and engage with “the next generation football fan.” In addition, with assistance from Sina Sports, 90min is one of the first foreign sports media to open and operate an official Weibo account. 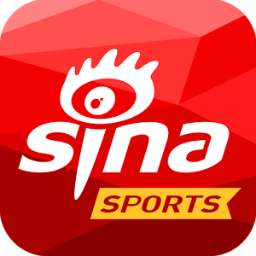 In order to service Sina Sport in its localized language, 90min has created a dedicated community team which curates and publishes all content in Chinese. ESPN and ESPN+ locked in an exclusive, multi-year rights agreement in the US for Italian soccer league Serie A TIM. The deal will bring more than 340 matches per season to ESPN+. Most telecasts will air on ESPN and ESPN2, and the Match of the Week will also be available in Spanish on ESPN Deportes. Telemundo Deportes hit the Premier League this week, detailing production plans as for its exclusive Spanish-language coverage. The Telemundo Deportes soccer expert team returns to provide play-by-play commentary led by Andres Cantor, Sammy Sadovnik, Copán Álvarez, Carlos Hermosillo and Manuel Sol.